To celebrate the anniversary of the U.S. Food and Drug Administration’s approval of our AquAdvantage Salmon for commercial production and consumption, we are posting a series of articles that have appeared over the past year and prior. 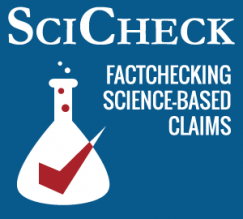 The following article by Vanessa Schipani appeared in FactCheck.org. In January, the FDA also issued a ban on the import and sale of GE salmon until the agency “publishes final labeling guidelines for informing consumers of such content,” the FDA said. The ban was the result oflanguage Murkowski introduced into the 2016 fiscal budget, or omnibus, bill. False claims about GE salmon have come from politicians on both sides of the party divide. While Murkowski is a Republican, Rep. Jared Huffman, a Democrat from California, has said, for example, that “by approving GE salmon, the FDA is allowing the release of a new hybrid animal that could pose a danger to our wild salmon populations, damage the ecosystems they live in, and undermine our domestic commercial fisheries.” Read the article.